Jarryd Felton’s fine run of form continues with the 18-year-old finishing third in his first international hit out in Argentina at the Juan Carlos Tailhade Cup and just three strokes behind the winner, Nicolai Kristensen. Felton, who has three top amateur titles to his credit already this season, carded the tournament’s low round of 65 at the Los Lagartos Country Club. 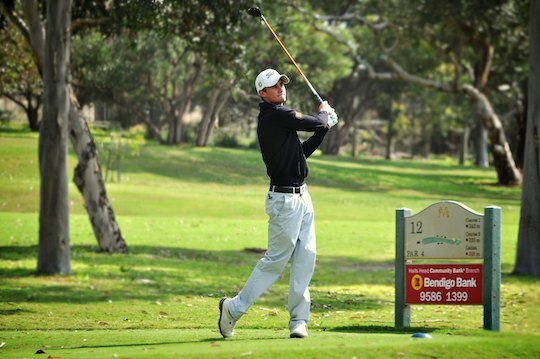 Felton recently won back-to-back at the City of Perth Championship and at the Mandurah Amateur, as well as the Queensland Amateur Stroke-play title. With a world amateur ranking now slipping inside the top-75, Felton has moved to be our 7th top-ranked amateur in a space of less than twelve months. The result for Felton in Argentina was important in a number of ways for the Western Australian. Being selected by Golf Australia to travel to Argentina, Felton has confirmed to the amateur body that he has the game to step up to the plate and compete on the international stage. You would only think more invitations should follow after this test of baptism. Scoring the tournament low round of 65 on a unfamiliar layout which punished the majority of the field – averaging over 74 for the tournament – confirms Felton’s shot making capability. Again, this is testament to Felton’s talent who in a short period of time has become one of our most exciting prospects. Felton’s next international is the Argentine Amateur Championship at Los Lagartos Golf Club and Martindale Country Club, starting Tuesday.